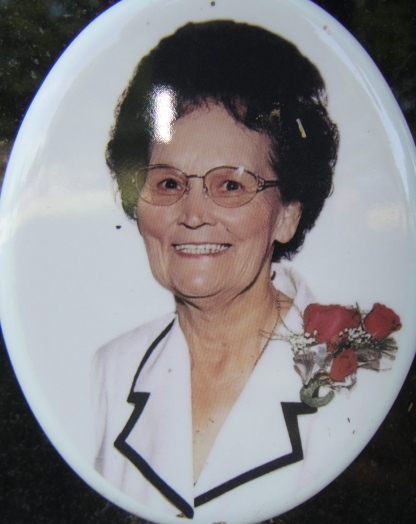 On this date, the 14th of April in 2006, our great-aunt Doris of Ratliff City, Oklahoma passed away. Doris Lucille Burris was born to Asa Azil Burris and Rosa Pearl Raabe on February 12, 1929. She was a younger sister to our paternal grandmother Ida Mae Burris. Doris Lucille Burris and Jack Wallace Wilburn were united in marriage on January 3, 1946, and to this union came four boys and one girl: Jack Wilburn, Jr., Daniel Eugene Wilburn, Richard Wilburn, David Wilburn, and Twana Parker. Ratliff City – DORIS L. WILBURN, 77, of Ratliff City, died Friday, April 14, 2006, in Oklahoma City.Funeral will be at 11 a.m. Tuesday at Healdton Assembly of God Church, Healdton, with John Harris officiating. Burial will be at Mt. Olive Cemetery under direction of Spivey Funeral Home.Doris was born Feb. 12, 1929, in Drumright, to Asa Burris and Rosa Pearl Raabe Burris. 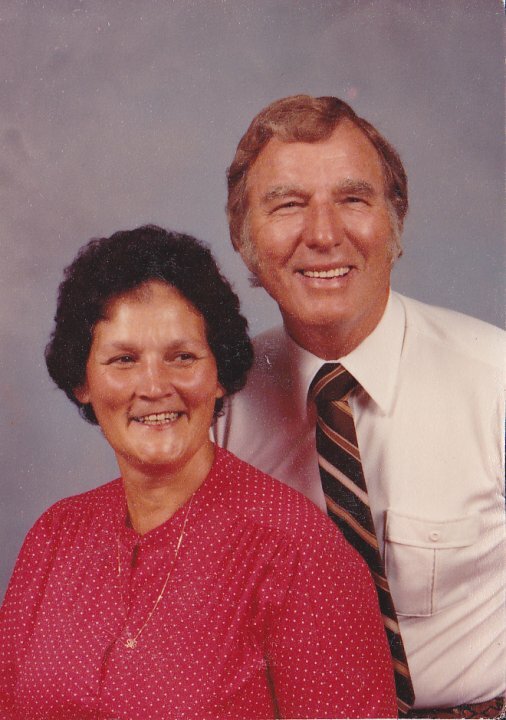 She married Jack Wilburn on Jan. 3, 1945, in Oilton.Doris was a homemaker, a loving wife, mother and grandmother. The joy of her life was raising her children and grandchildren. She also loved attending all of her grandchildren’s sporting events. Doris was an active member of the Healdton Assembly of God Church. Before attending at Healdton, she was a member of Pruitt City Assembly of God Church for 45 years. 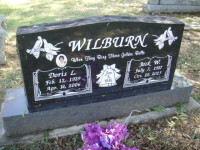 Survivors include her husband, Jack Wilburn of the home; two sons, Richard Wilburn and wife Kathy of Ratliff City, and David Wilburn of Healdton; a daughter, Twana Parker and husband Jim of Ardmore; two brothers, Johnny Burris of Drumright, and Bucky Burris and wife Marsha of Hobbs, N.M.; two sisters, Kathrine Hilton and husband Ray of Mannford, and Rosa Lee Clawson and husband John of Kansas, Okla.; nine grandchildren, Scott, Chad, Stephen, Paul, Jennifer, Andrea, David, Jackie and Tamara; and 15 great-grandchildren.She was preceded in death by her parents; two sons, Jack Wilburn Jr., and Danny Wilburn; a sister; and six brothers.Bearers will be David Wilburn Jr., Jackie Wilburn, Stephen Wilburn, Paul Wilburn, Chad Sherrill and Scott Sherrill.Honorary bearers are Darrel Newcomb and Wade Higgins.